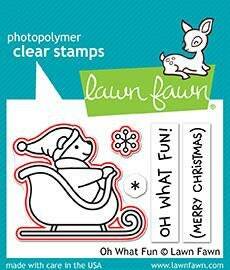 Embellish your Christmas pages or create a cute card with the Oh What Fun Clear Photopolymer Stamps by Lawn Fawn! The package includes 5 clear acrylic stamps featuring a bear in a sleigh, snowflakes and the expressions "Oh what fun!" 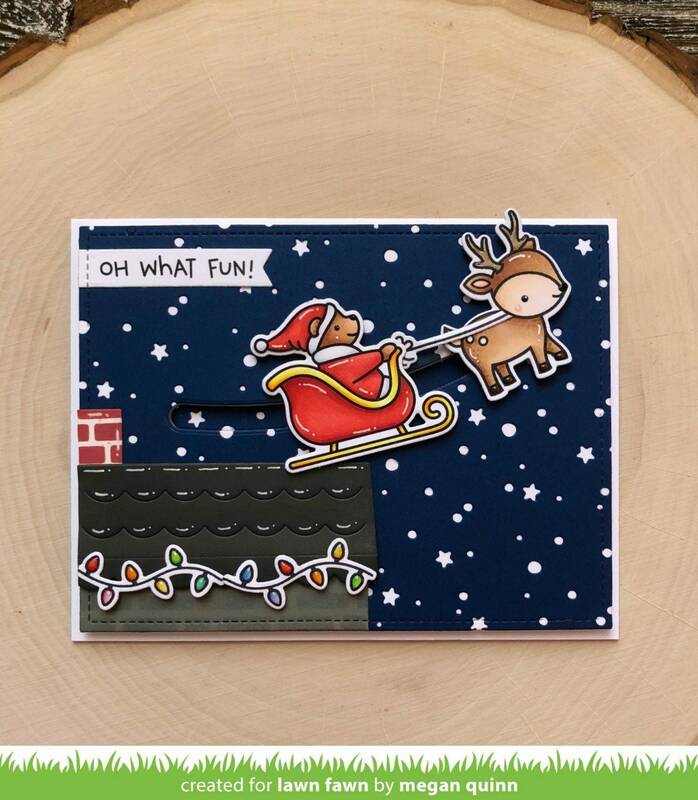 and "(Merry Christmas)". 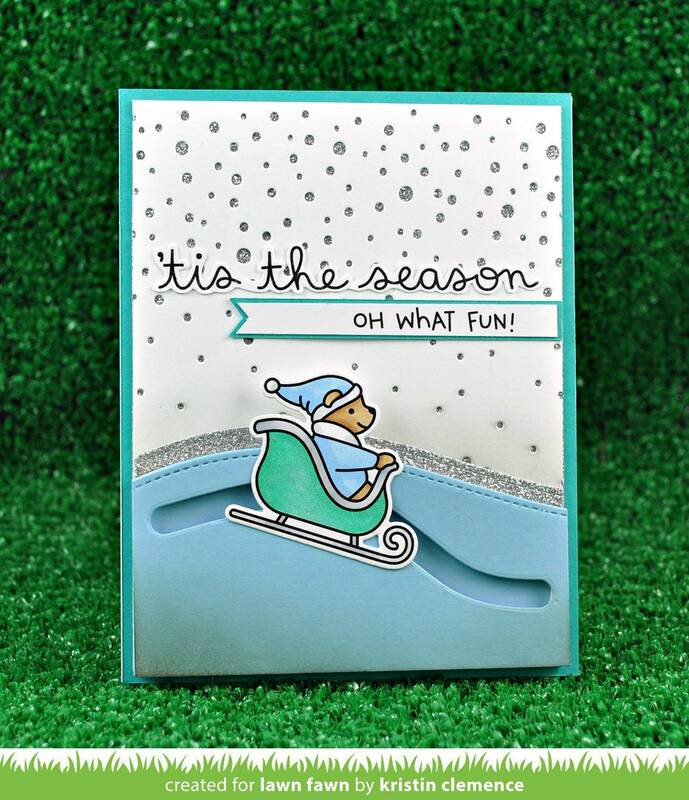 The stamps can be used with an acrylic block and your favorite inks (sold separately) and are made in the USA.